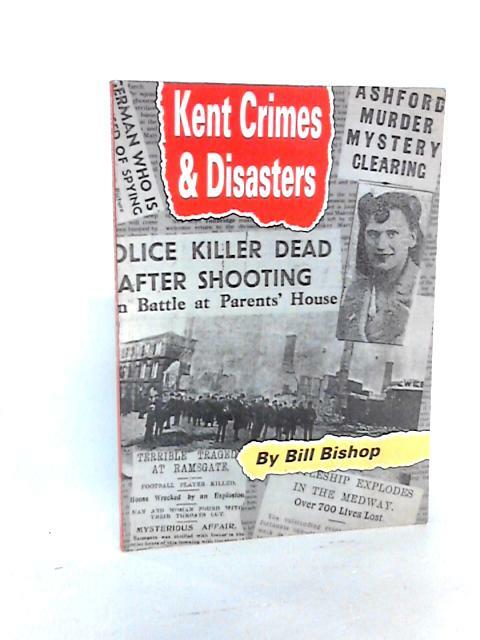 Kent Crimes and Disasters by Bishop, W.
1993. 95 pages. Signed by the author. Pictorial paperback. B&W photographs. Neat clean pages with light tanning and foxing to endpapers and page edges. Some pencil annotations to endpaper. Small bumps to corners. Few dog eared corners. Finger marks to page edges. Some rubbing to the board edges and wear to the spine ends. One or two marks to front and rear boards. Small bumps to corners. Creases to card covers.